Screen time – two words we hear a lot about now. I think it’s one of the biggest challenges our generation faces when it comes to raising our kids. If you’re a parent raising a child in today’s world, then you’ve most likely had to come up with some set of rules regarding your kid’s screen time. As far as screen time rules go in my house, I consider myself pretty liberal in that department. That wasn’t how I envisioned it, though, before I became a mom. Before my first daughter was born, I swore that I wouldn’t let her go on a phone or tablet for a long time. (I wasn’t sure how long, but I knew I didn’t want her to be on one for as long as possible.) I had all these rules made up in my head when it came to screen time, but they quickly changed the second I actually became a mom. The reality is, I gave my daughter an iPad when she was around twelve months. That’s much younger than I ever thought I would, but it was just convenient. I’m not even sure exactly why I gave it to her the first time. I just know that it wasn’t long before she wanted it more and more frequently. At first, I tried to put only educational apps on it that could help her learn colors, shapes, etc. I believed then, and I still believe, that tablets can be a helpful teaching tool. 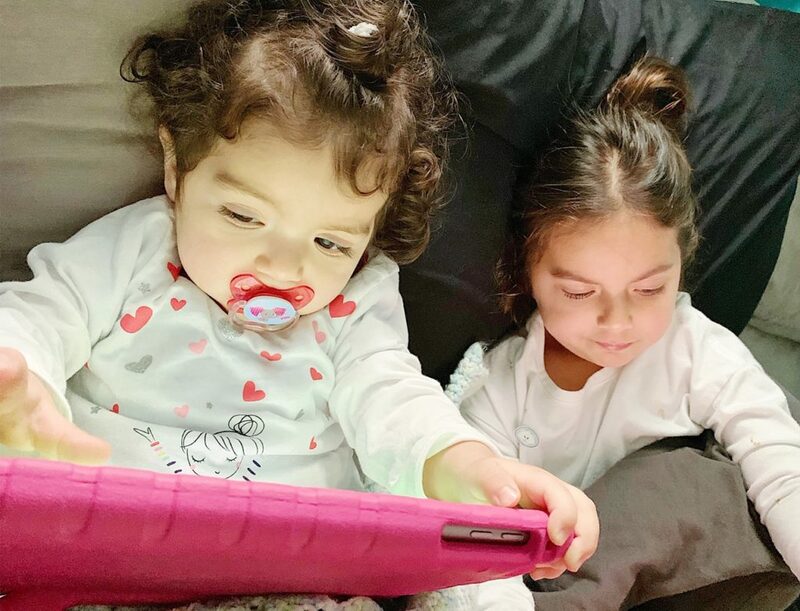 I read all about how if your child does use a tablet, to have them use educational apps or watch interactive programs and to try and watch it with them and explain things even further and ask them questions. I tried that, I really did. I still do that sometimes but, in all honesty, it’s hard to find extra time to do it. I also still think that free play and getting outside is the most beneficial for them, so I’d rather put more of my energy into that. That’s probably why soon, my daughter was on her iPad more and started using it without me at all. I started to think about what was important to me regarding her screen time and how much I was okay with. I found myself constantly thinking about both the pros and cons. What I ultimately decided was that if I didn’t think it was hurting her development at all, then I would continue to let her use it freely. I did try to control what she watched but realistically, I couldn’t be there all the time. In fact, the times that I was most okay with her using it were the times when I couldn’t be in the room. (For example, when I wanted to jump in the shower or cook dinner.) At least I knew she was safe if she was just sitting near me with her iPad. Time went by and soon enough, I felt as if I had almost zero rules for her use of the tablet. She was on and off it whenever she wanted and, to be honest, I was okay with it if it wasn’t holding her back in any way. I know what I just said is NOT the popular opinion. I’m sure most parents have much more strict rules when it comes to their kids’ use of a tablet and I most definitely am not here to say that my way is the right way. I certainly don’t want this to sound like that type of post. I just want to share what my experience has been. In my opinion, each child is different and a set of rules that works for one child, may not work for another. My daughter was doing really well in her overall development and we decided it was still okay for her to use the iPad, including YouTube. Those damn surprise egg and toy-opening videos on YouTube. I hated them immediately! I tried to block as much as I could, but there were just more and more that would pop up. Pretty soon, I realized that I had very little control over what showed up. It wasn’t just the egg and toy-opening videos that bothered me, but I also noticed that she would find videos in other languages. It wasn’t too long before I started to feel like her speech was changing. I’m not sure if it was the different accents she would hear or the occasional other language, but whatever it was, I was not okay with it. The other problem, was that she started asking for a lot of the toys she would see in the videos. I felt like it made her less grateful for all the things that she does have. She was never the type of kid to constantly ask for toys before she watched those videos. That’s when I decided to just remove the YouTube app. There were plenty of other educational apps that she could use. Now, please don’t hate me if you use YouTube for your business. I love it and I think it’s an awesome platform. However, for my toddler and preschooler, I’d rather them wait until they are older to use it. At first, I wasn’t sure how my daughter would react, but she has always been easy-going and had no problem adjusting. Before you know it, two and a half years went by and there’s still no YouTube on her iPad. However, I can already tell that the same rules are not going to work on my extremely strong-willed second child. We are in the process of trying to set more strict rules for her, so I will do a follow up post later and let you know what ends up working for her. As far as my oldest goes, she is completely fine with all the other apps she can use. I love this app because it has a ton of games on it for free! For each show on PBS, you can play interactive and educational games, with characters from each show. This one is great for teaching shapes and letters. It’s an app that my daughter loved early on. I love that the voice on it speaks so clearly and I think it’s a great teaching tool, especially if you are using it with your toddler. Most toddlers I know love Disney, especially the Mickey Mouse Clubhouse. This app does have a monthly charge of $2.99, but it is definitely worth it for us. My daughter uses this app pretty frequently when on her iPad, and I love how interactive it is. It turns all their favorite Disney Junior shows into fun games they can play along with. Both of my girls love this app! It helps them build trains that they can drive from station to station. 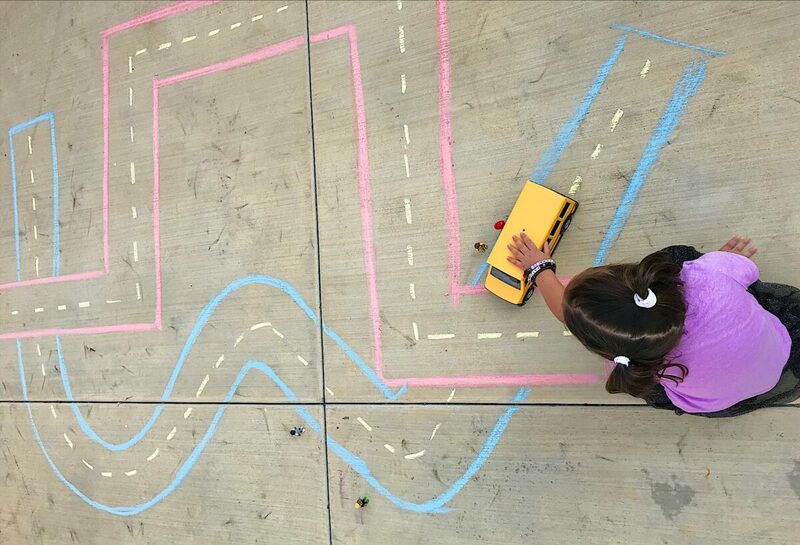 This app gets them using their imagination and encourages problem-solving. This is an awesome app for when they start to get a little older, around three or four. It teaches them tons of different skills that will help them in preschool and kindergarten. For example, it covers shapes, letters, numbers, nursery rhymes, phonics and the list goes on. How about you? How do you feel about screen time? What are some of your child’s favorite apps?